It is declared to be a flagship small in one printer. The very own features that will attract people to buy and own this printer are its large LCD screen with touch panel, the Wi-Fi Direct which is user friendly to be set up, and also its great ability in doing mobile printing. And those all makes it got 4.2 out of 5 stars for costumers’ review. 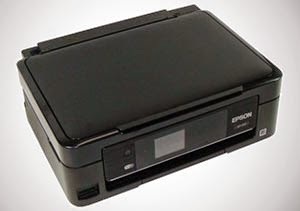 Just like some of Epson’s printers, this printer also uses the same Epson Micro Piezo print head method, with 180 nozzles black and 59 nozzles per color for the configuration. It uses down to 3 picoliters of droplet size ink, with Claria Home ink technology for the quality. 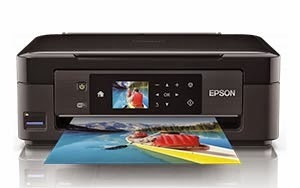 the printing resolution is also the same as some other printers, as it can reach up to 5760 dpi x 1440 dpi. 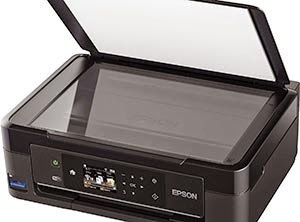 This one is made for home desktop printer usage, with its complete all in one functions, print scan and copy. It spends 9 pages per minute monochrome and 4.5 pages per minute to do printing under ISO / IEC 24734 standard pattern. It also takes 15 pages per minute color and 33 pages per minute monochrome on plain paper printing, and 38 seconds per 10 cm x 15 cm photo on Epson premium glossy photo paper. 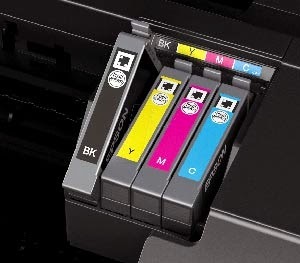 The use of cyan, magenta, and yellow also black makes it quite the same for the output color to any other Epson printers. 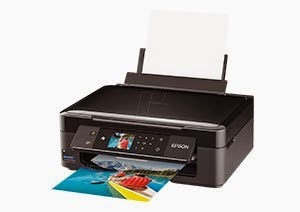 To fulfill its duty toward scanning, this printer takes 2.4 miliseconds per line monochrome and 9.5 miliseconds per line color for 300 dpi scanning, also 7.2 miliseconds per line monochrome and 14.3 miliseconds per line color for 600 dpi scanning. 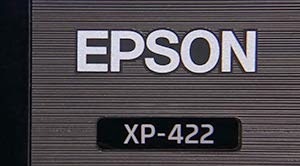 The scanning resolution itself is up to 1200 dpi x 2400 dpi, with Contact Image Sensor as the sensor type used. 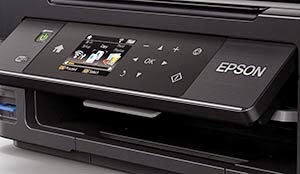 To handle all these works, this printer uses ENERGY STAR qualified for the energy use, where it takes 13 W on standalone copying under ISE / IEC 24712 standard pattern, and 1.6 W on sleep mode. Its supply voltage is around 220 V to 240 V AC. These all can be handled on the use of Windows XP or later and Mac OS X 10.6.8 or later as the operating systems. 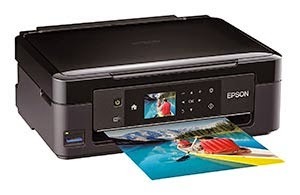 Also, people can get connected to the printer through Epson Connect, Apple iPrint, and Google Cloud Print for its mobile printing. 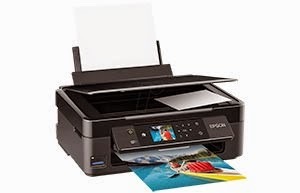 Besides, its interface, where users can get directly connected to the printer, uses Wi-Fi Direct and Hi Speed USB 2.0, makes it a little bit easier to get since those two interfaces are recently word wide known. It is only 4.3 kg on weight, and 390 m x 300 mm x 145 mm on the dimension, makes it pretty light and small for its very own goal, home desktop printer users.